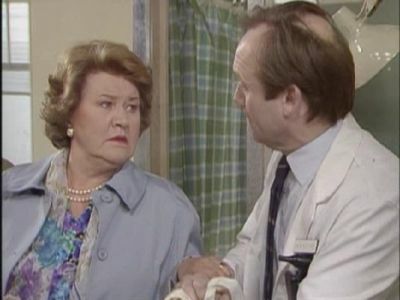 British sitcom Keeping Up Appearances features Patricia Routledge as Hyacinth Bucket, a wannabe social climber who insists her surname be pronounced "Bouquet." 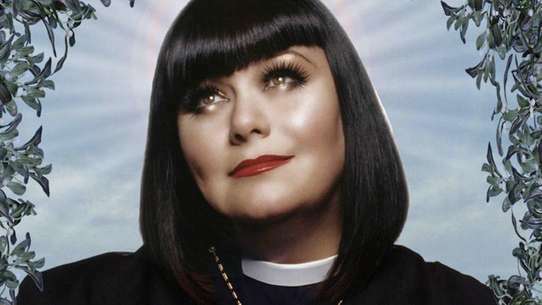 Her incessant attempts to project an upper-crust image cause grief for all those around her, including henpecked husband Richard, the local vicar and her neighbours. 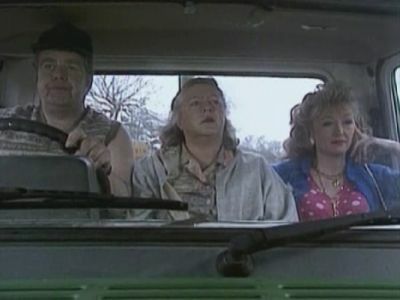 Providing a constant source of embarrassment are Hyacinth's unsophisticated sisters Daisy and Rose as well as lazy, crude brother-in-law Onslow. 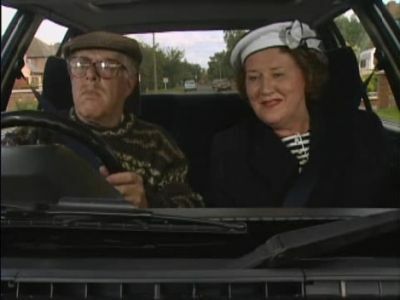 To Richard's horror, Hyacinth wants a new car . Therefore the pair end up taking a Rolls Royce for a drive. 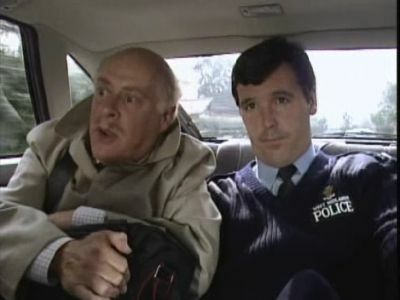 However Hyacinth’s plans of showing the car off take a downwards spiral when the Rolls Royce gets reported as stolen and she gets arrested. A ""luxury barbecue"" at Violet's house looks like being a disaster because Bruce and Violet keep having violent arguments. 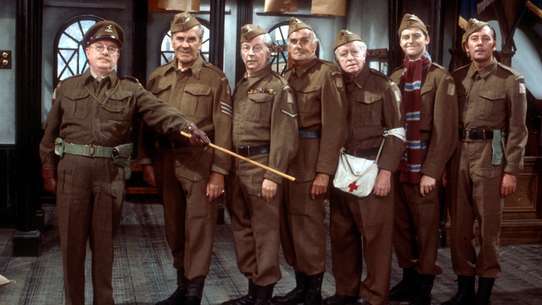 Hyacinth organises a sing song in an attempt to take everyone's mind off their hosts' battle. Later, Hyacinth goes along to a rehearsal of ""The Boy Friend"" to offer her services to Emmet. Hyacinth sings to her hearts content when discovering Emmett's latest musical The Boyfriend is in production. Meanwhile Daddy is once again back in the war and guarding Onslow’s house with a sharp object. 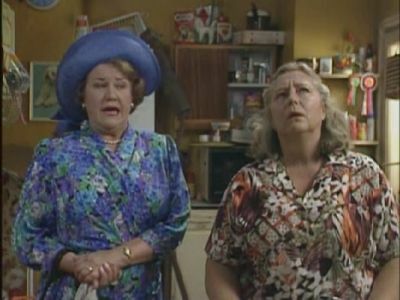 Daisy and Onslow’s granddaughter Kylie is getting christened, but Hyacinth is unimpressed because there has not been a wedding first. The day does not get any better for Hyacinth when she and Richard are forced to come to the rescue of the baby's mother Stephanie, whose transport has broken down. 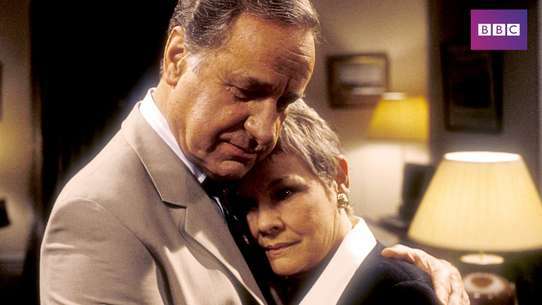 The leading lady then learns the baby's mother is a hippie, who is unaware of the baby’s father. Hyacinth organises a riverside picnic, much to the despair of those invited. 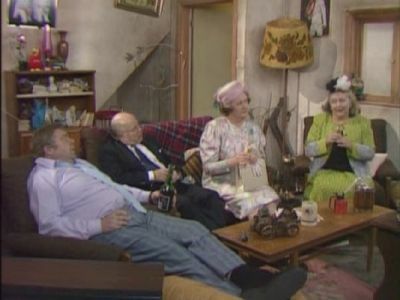 Despite Emett's and the Vicar's best efforts to tell Hyacinth they are unable to attend, they find getting out of Hyacinth's function impossible. As always, Hyacinth's plans of perfection are shattered when a digger dumps dirt in her chosen location for the picnic. Hyacinth and Richard are settling into their new country apartment, but Richard is less than enthused with its diminutive size. It's already cramped enough as it is for two, but when Hyacinth invites friends over, it becomes unbearably tiny! Hyacinth has put an advert in the local newspaper to teach people social etiquette, however an excited Hyacinth does not quite get what she expected. Hyacinth and Richard drive a wealthy Mrs Fortescue into town, however Hyacinth's plans to impress are crushed by her family when Daisy and Rose flag down the Buckets for a lift. 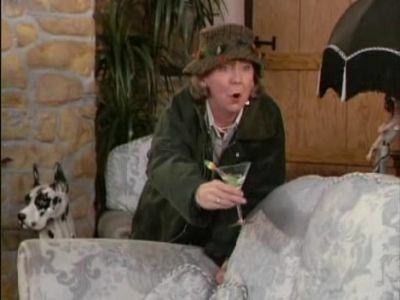 Eventually to Hyacinth's dismay, this leads to Mrs Fortescue playing darts with Onslow in a public house. Hyacinth is very excited at the prospect of having her new three piece suite, an exact replica of the one at Sandringham House, delivered. She will also give Daisy and Onslow her old suite, provided they pick it up themselves. But of course these two events are likely to collide at some point, creating an insurmountable disaster. Hyacinth's "Daddy" is put into an ambulance and taken to hospital, after getting injured chasing after the milk woman naked on his bike. 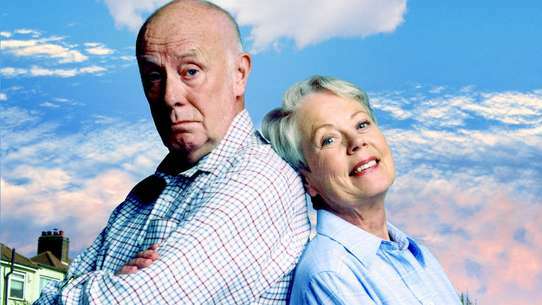 After visiting him, Hyacinth returns home and is visited by the gas man, whose life she makes difficult. 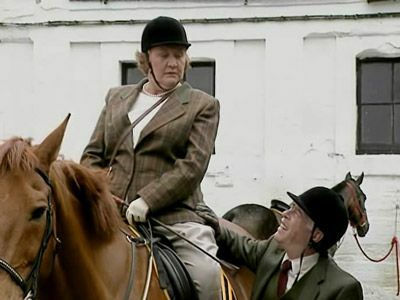 Hyacinth drags Richard off into the countryside in search of the remains of an Iron Age settlement. 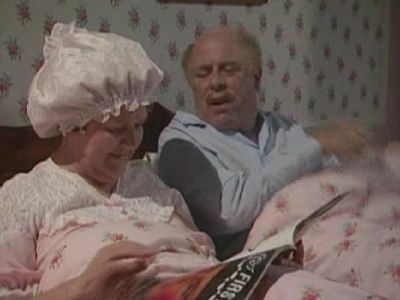 Richard is terrified to wake up to see Hyacinth smiling at him; he later realises he has forgotten his and Hyacinth's wedding anniversary. Richard then decides to have an alarm system installed, claiming it is Hyacinth's "surprise" anniversary present. 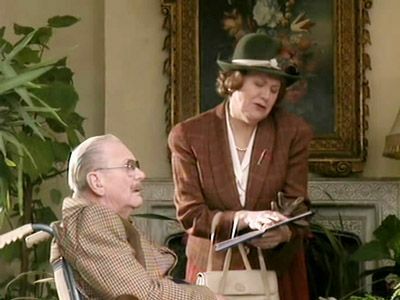 Hyacinth is determined to create the perfect impression when inviting the new Vicar for “tea and light refreshments”. 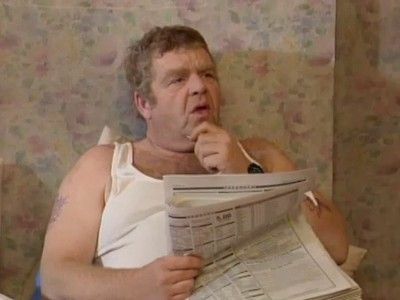 However her hopes come crashing down on her when Onslow and Daisy turn up with the news Daddy has been kidnapped by a gypsy. The day gets even worse for the polish-perfecting protagonist when Rose turns up, on her way to her own funeral. 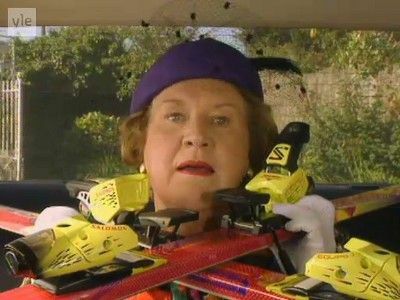 For Richard’s birthday Hyacinth buys some skis as she believes they "will look good on the car". However needing Violet and Bruce’s roof rack the Buckets head off to Violet's luxury home, picking two neighbours up along the way. 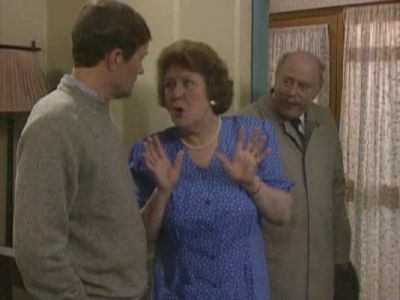 Hyacinth is thrown into a panic when arriving as Violet and Bruce are arguing. 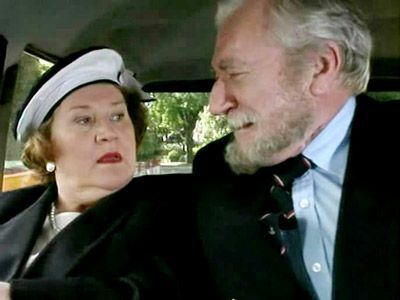 Hyacinth is dreading an invite to Onslow's birthday party, but changes her mind when finding out she and Richard will be picked up by Rose's wealthy Greek boyfriend. Thus Hyacinth holds a gathering at her house to impress the neighbours as she departs in the luxury vehicle. However her hopes die when a hearse arrives instead. Hyacinth gets a chance to try some social climbing while borrowing her sister Violet's cottage for the weekend. 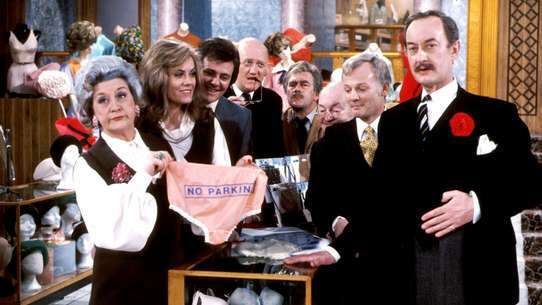 Hyacinth and Richard visit a stately home where the leading lady hopes to meet a member of the aristocratic family. However she fears her social status will be sabotaged by Onslow, Daisy and Rose, who turn up unexpectedly. Thus Hyacinth drags Richard through the ground's private gardens to hide from the lower-class clan. 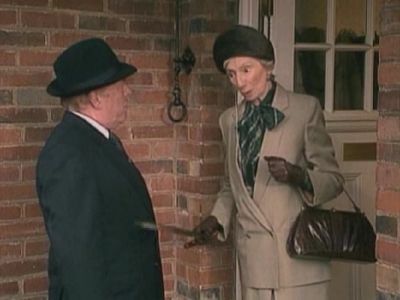 Richard panics when leaving Hyacinth to browse country property without him, fearing she will purchase something they cannot afford, as he collects "Daddy" from a police station. 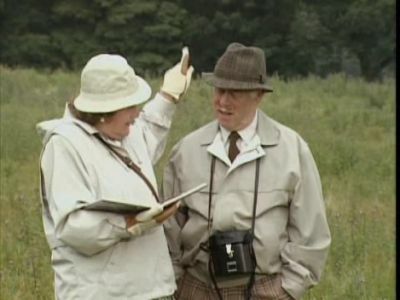 Finally Hyacinth decides on a country property. Daddy has ended up at the toy store and is "improving" a few toys with the help of a screw driver. This results in Hyacinth and Richard having to go into town to solve the problem, where Hyacinth fears for her status when meeting Mrs. Counsellor Nugent. Hyacinth decides that Richard should get a new hobby... and so insists he uses the camera that his boss presented to him when he retired! 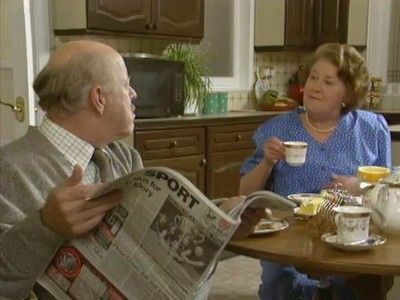 Hyacinth is shocked to see a strange man wearing only a towel emerge from Elizabeth's house, thus she tells Richard they will have to move house. However her opinions change when discovering who the man really is. Meanwhile Daddy has gone missing. 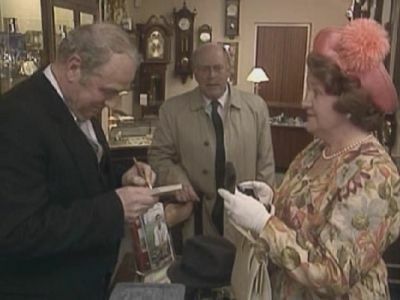 Hyacinth takes a trip to the travel agents for some ""quality"" holiday brochures. Afterwards, Onslow decides to take Richard in hand and show him how to 'enjoy' life. 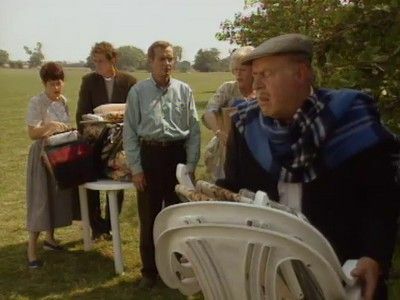 Hyacinth arranges a picnic for Daddy, but things go awry when the senile old man decides to test-drive the Buckets' car. Thus Hyacinth has to ride in Onslow's, as a car chase gets underway. 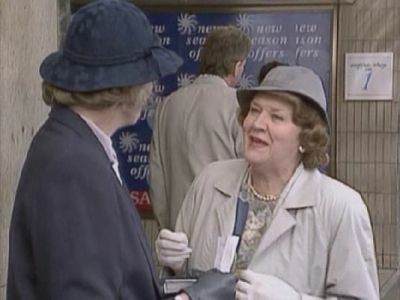 Hyacinth switches on her sailing persona when volunteering to collect a guest speaking Commodore from a train station, however Richard gets clamped and they cannot find the man. When Hyacinth does finally meet the Commodore, she is unprepared for his attempts at seduction.